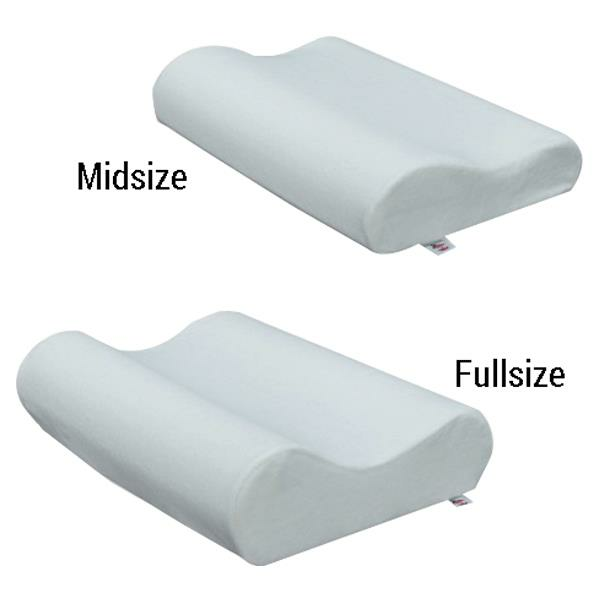 Core Memory Foam Cervical Pillow is made of premium 100 percent viscoelastic memory foam to conform to the unique shape of head and neck. This responsive material provides gentle support as one move from one sleeping position to another. It helps alleviate snoring, neck pain or headaches and correct and maintain proper neck posture. - Full size: 4" and 5"
- Mid size: 3" and 4"
A secondary type of foam that is very popular as it has a high density and viscosity and works well for very acute conditions or conditions that are not correctable. Viscoelastic or Memory foam is extremely temperature and pressure sensitive. It has virtually no resiliency (firmness) characteristics and used in comfort products that conform to spatial attributes. Memory Foam pillows are an accommodative style pillow. Offers little to no cervical feedback or support. Conforms to existing cervical conditions. Works well for very acute conditions or conditions that are not correctable. May also discolor (yellow) which is a natural process. May also release an odor for a short period of time in a process called “off-gassing.” This is a natural process and will dissipate over time. 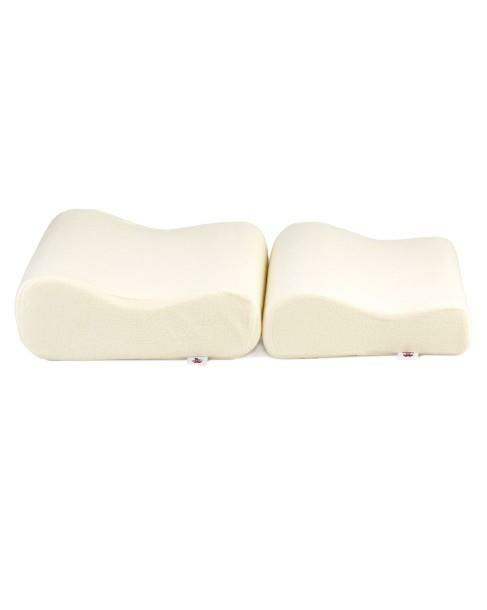 Natural placement of the head and neck, accomplished with the many different styles and shapes of Core cervical pillows, can help relieve intense pain by providing natural and correct posturing in supine (back) and side-sleeping positions. Cervical support pillows are used when a cervical hypolordosis (less than normal curvature of the spine) exists, to prevent hypolordosis, or when cervical spasms or strains occur. 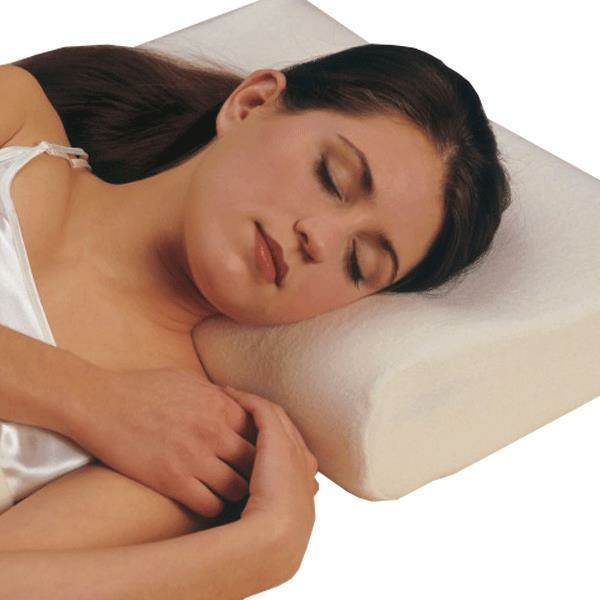 These pillows are orthotic devices (apparatus used to align or support) used to help relieve spasms, remove minor tensions and maintain or resume the natural cervical lordotic curve while at rest.